Three days after launching Firefox 59, Mozilla pushed Firefox 60 to developers. If you missed news about Firefox 59, don’t worry. It’s a minor release. Well, unless you are a Mac user. Then, you’ll be glad to know that Off-Main-Thread Painting, a feature already backed in Firefox 58 for Windows, is now available. What Else Is New in Firefox 59? Other than that, you’ll have to use a magnifier to find something exciting about the latest release. If you do that, you’ll probably notice that the screenshot feature is finally useful thanks to crop-to-clipboard functionality. There are also some privacy tweaks. From now on, when using Private Browsing Mode, Firefox will remove path information from referrers sent to third parties. 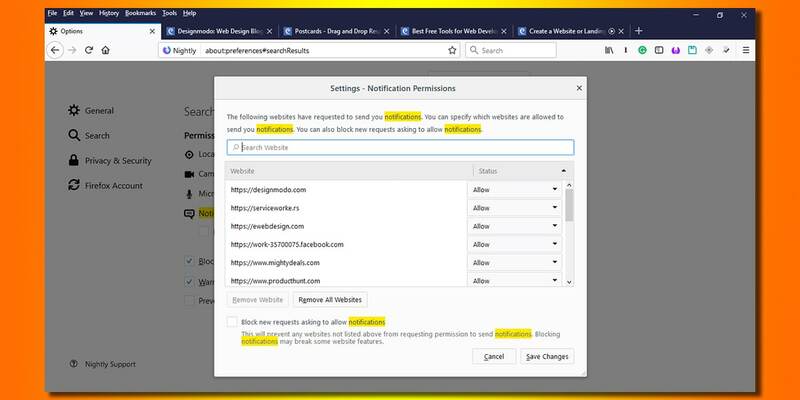 Additionally, a new setting in the preferences menu will stop websites from asking to send notifications, access your device’s camera, microphone and location. Of course, users will be able to whitelist trusted websites to use these features. And finally, someone at Mozilla realized that users would love to drag-and-drop to rearrange Top Sites on the Firefox Homepage. Thank You, Mozilla! There are also some bug fixes for Firefox ESR. The new old version of Firefox that supports outdated software such as XP or Vista received some bug fixes. For those who are not familiar with Mozilla’s extended family of browsers, ESR is basically Firefox 56. Users may want to use this distribution channel to keep using some Quantum incompatible extensions in enterprise environments or other scenarios where the old version is better. Also, lazy developers will love ESR because their ancient app will run just fine. Of course, ESR is slow. 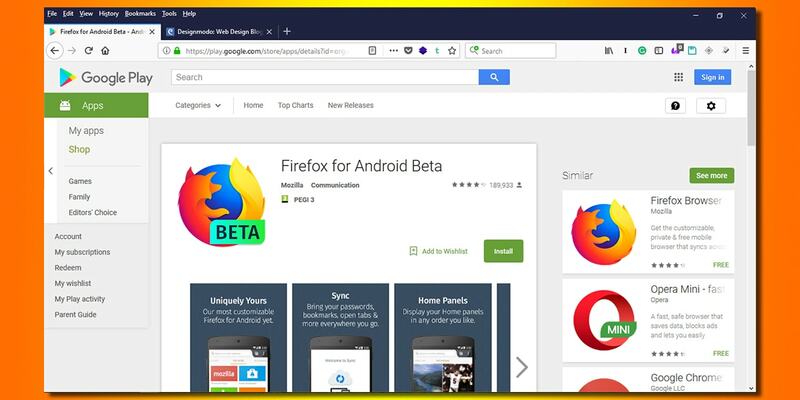 On Android, users who love Firefox, still won’t get Quantum. However, they’ll get the option to replace Google Assistant with Firefox. A great option for open-source lovers, but still, I’d prefer Quantum, especially since Firefox is incredibly slow on Android. While it’s early to make assumptions, unlike Firefox 59 which is a “common sense” release, the next Firefox release could bring a lot of interesting features. 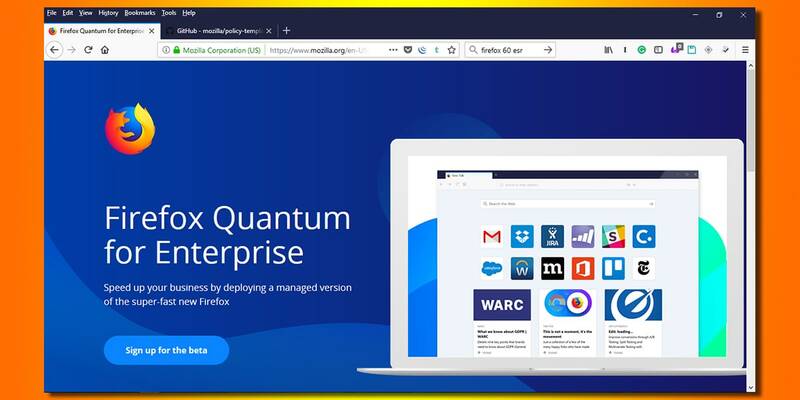 This version, thanks to the Firefox Policy Engine, will also be administration-friendly, with support for Group Policy on Windows and JSON files on Linux and Mac devices. Also, Firefox 60 brings Web Authentication support. This will enable enable strong authentication with public key cryptography, allowing password-less authentication and secure second-factor authentication without SMS text. 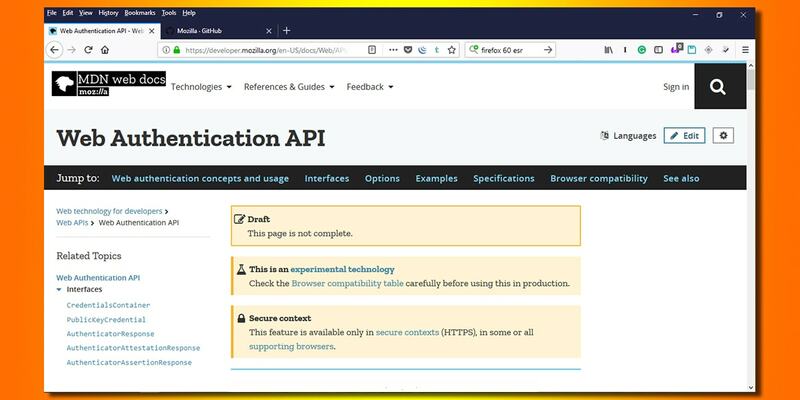 The Web Authentication API, casually named WebAuthn by developers, will mitigate significant security issues such as phishing, data breaches or attacks against second-factor authentication methods, and, at the same time, will increase usability. So casual users won’t have to remember strong, complex passwords. Instead, they will rely on a USB stick. The API has been for a long time in the labs at W3C, and it looks like it’s getting ready for prime time. I believe it will change the way we authenticate on the web, so I should probably quit writing articles and launch a start-up for a personal USB key that makes a lot of noise when is about to get lost, stolen or unconsciously replaced by a KGB agent. Don’t get me wrong, WebAuthn is impressive technology. Finally, Firefox 60 brings Stylo, also known as Quantum CSS to Android. This should bring notable speed improvements to Firefox on Android. Sadly, on my Oreo S8, Firefox 60 is still slow. Ready to Try Firefox 60? 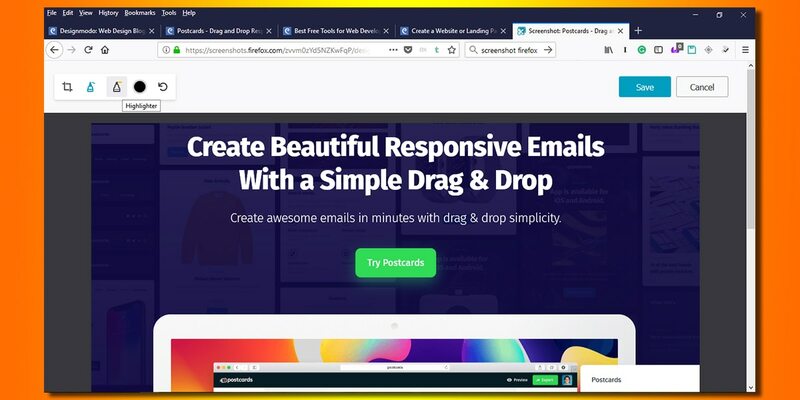 Firefox 60 will be released in early May, but if you want to be first in line, get the latest Firefox for desktop here. For Android, you’ll have to use the Play Store, or sideload the .apk. But you should stick to the official store. If, for some reason you are not comfortable with using the Play app, get the .apk from the official repository. Disclaimer: Firefox is my favorite browser! Awww, a fellow firefoxer. Thank you for reading my article. Well, I just fired up Firefox on my S8 and it’s still slow. And it’s not only me. I’ve run into some discussion about Firefox running slow on S8 devices. Who knows. Or… maybe Opera is that fast! Shame that version 59 is a complete disaster. Firefox used to be slow and a memory hog. Now its unusable! FF v60 is the slowest version I’ve seen. Ever. It takes nearly 10 seconds just to open a browser, another 10 to load a page. Typing this comment, the text freezes every few seconds, like it’s trying to process something. Ugh. Gonna have to uninstall and go back to… I guess v58?